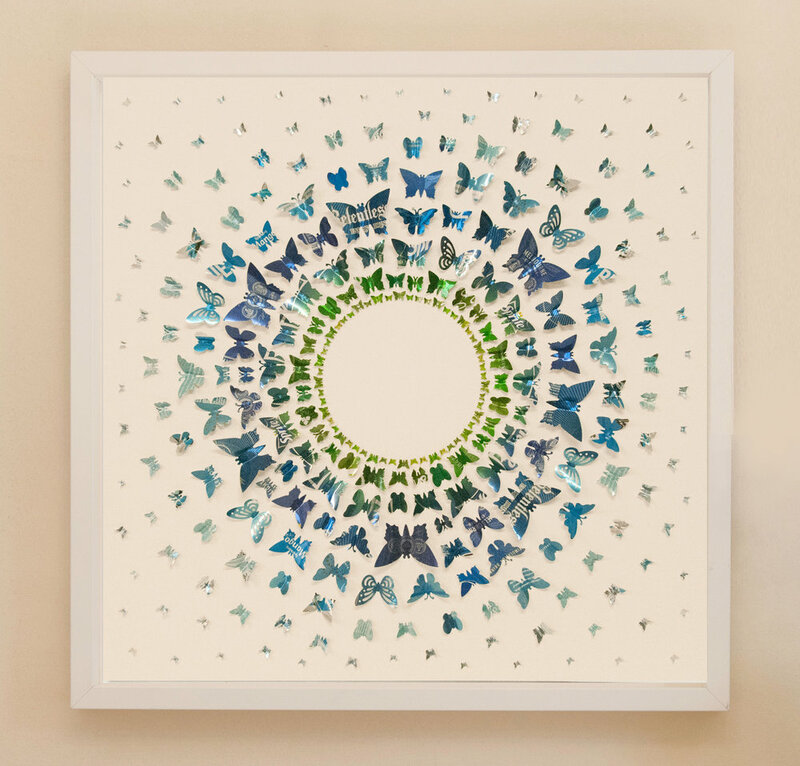 The artist Sarah Turner creates hundreds of butterflies, all cut from waste drinks cans to create each artwork. These larger pictures are made on canvas at the size and style of your choice. From a distance the artwork really makes an impact with the colours blending together beautifully, close up the detail in the cans and the butterfly forms can really be enjoyed. Each canvas is made to order, they can be made in your choice of style and colour. Please contact usdirectly to discuss your artwork. This stop motion video shows the upcycled, eco artwork being made piece by piece. 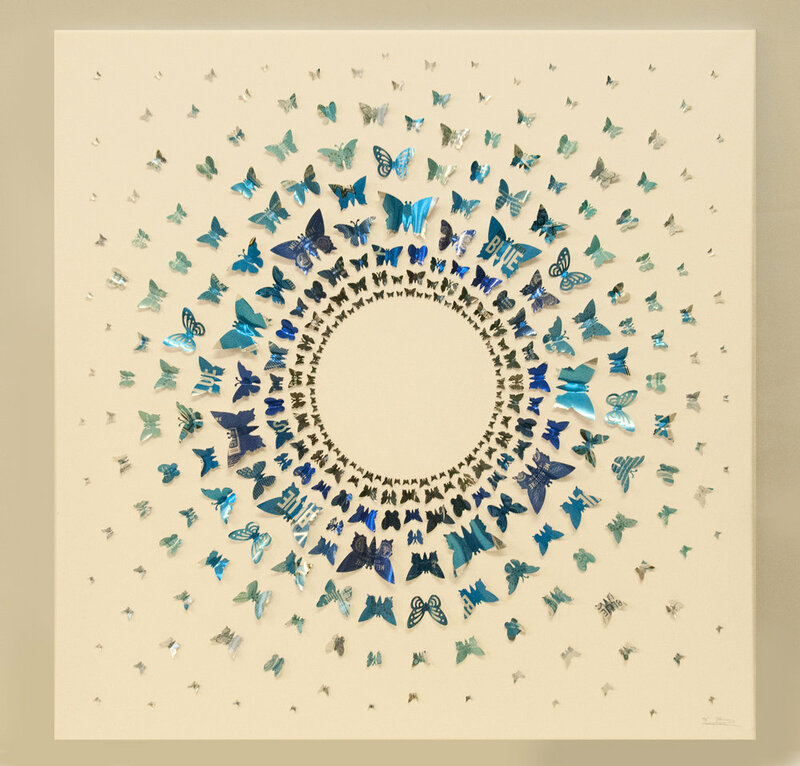 The hundreds of butterflies are each cut from waste drinks cans which have been collected from local homes and businesses. Grey cans are used for the butterflies in the centre which then blends into beautiful blues and then to silver/white at the edges. Fosters, RedBull, Bud Light, Rubicon, Sprite, Schweppes Lemonade, Kronenburg, Brewdog and Relentless are some of the cans which were upcycled in this artwork to name a few. The canvas was 1 metre x 1 metre. 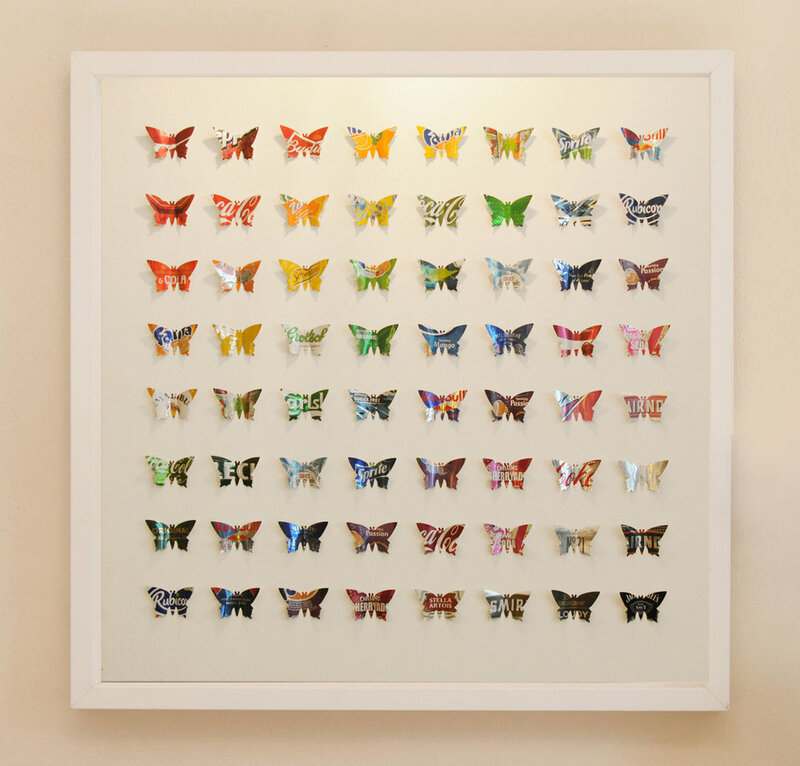 Upcycled artworks can be made in many different sizes and colours.